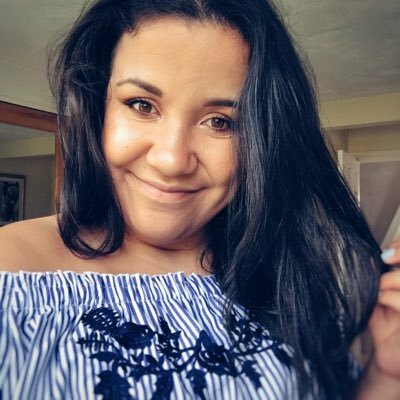 I’ve been feeling pretty positive this week but not as inspired as I wanted to be when it came to blogging. Hopefully in the next few weeks I’ll be able to create the best content I can and content that I’m really proud of. July has been a pretty hectic month and so I thought it was time for another outfit post and I completely forgot about these photos from my holiday in June with my boyfriend. 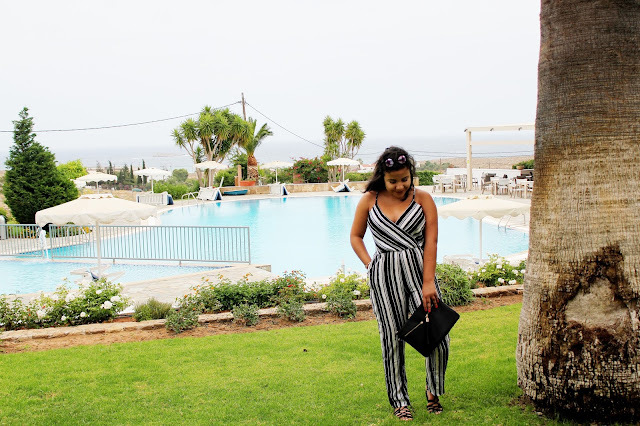 When I’m on holiday I absolutely LOVE a good jumpsuit (I probably take about 3 or 4 with me!) as they’re so versatile, lightweight and perfect for covering up but looking stylish at the same time. I love wearing jumpsuits in the evening on holiday as I find them so comfortable. If it’s a little colder you can also layer up your jumpsuit with a white t-shirt underneath. 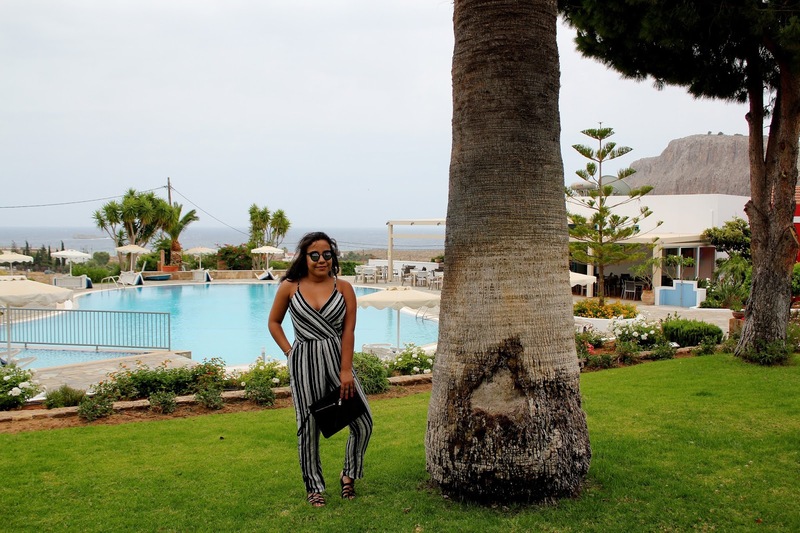 This jumpsuit was a complete bargain at under £20 and it's a piece you can wear all year round. I definitely think this piece is going to become a real style staple in my wardrobe. What do you think of this outfit? Are you a fan of jumpsuits? 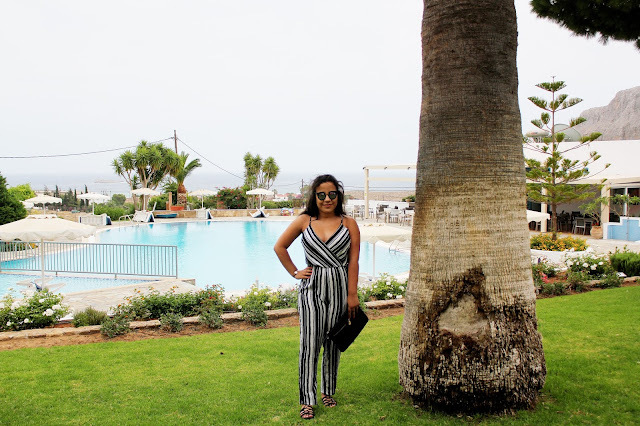 Love that jumpsuit - isn't Greece SO beautiful!